On his Facebook page, Sam Rainsy wrote, on 5 February 2018, Hun Sen ceded Koh Tral to Vietnam in 1982. It is pure lie. To rewrite history is typical of demagogue and populist politicians who used to play with the ignorance of the people. Here are the historical facts. On 31 January 1939, Governor General of Indochina, Jules Brévié, sent a letter to the Governor of Cochinchina about “the issue of the islands in the Gulf of Siam whose is a matter of controversy between Cambodia and Cochin-China”. In this letter,”for administrative purposes”, he drew a line which defined the border between the waters of Cambodia and Cochin-China: all the islands north of the line are under Cambodian sovereignty, all the islands south of the line are ruled by Cochin-China. This “Brévié Line” was a decision by the colonial rule. In 1949, Cochin-China became part of Vietnam, an Associated State in the French Union within the Indochinese Federation. After the Geneva Accords, in 1954, Cambodia and the Republic of South Vietnam are two States fully independent. According to international law, notably the “uti possidetis” principle, which means the intangibility of the borders as they existed at the time of the independence, the boundaries from the colonial time became international borders. It is up to neighbouring countries to change the border line, if there is a common will, through bilateral negotiations. But ultra-nationalists, like Sam Rainsy, use to ignore international law. They prefer conflicts. 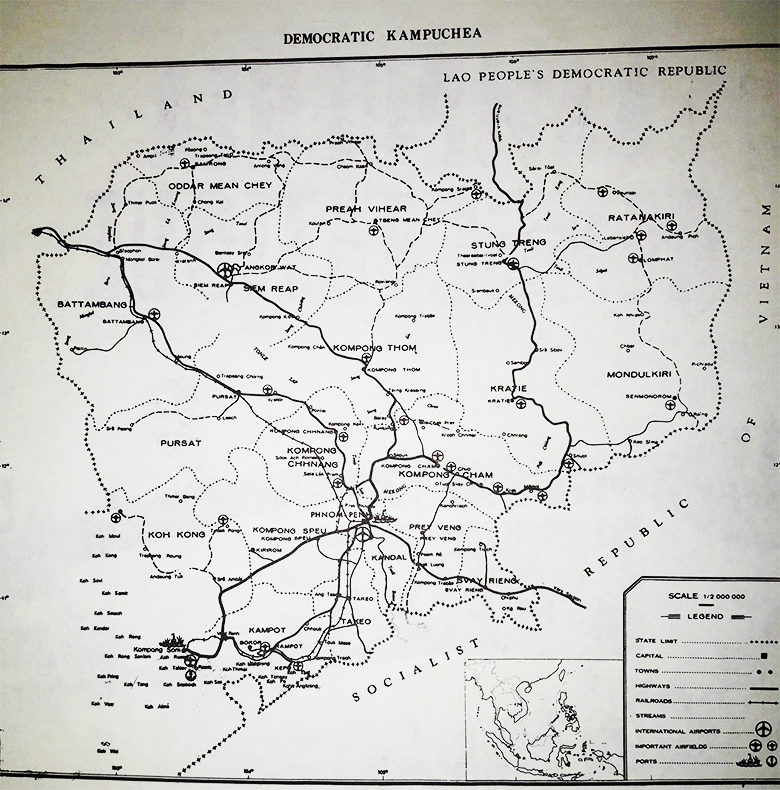 The map published by the Ministry of Foreign Affairs of Democratic Kampuchea. In 1964, then Head of State Prince Norodom Sihanouk proposed to the Vietnamese a map aimed at settling the issue. Cambodia offered to accept the colonial “Brévié Line” as the maritime boundary, thus abandoning its claim to Koh Trâl. That position of Cambodia was confirmed by maps given to the mission sent by the UN Security Council after the Chantrea incidents. On June 8, 1967, the Vietnamese issued a declaration that accepted the “Brévié Line” as the maritime border. 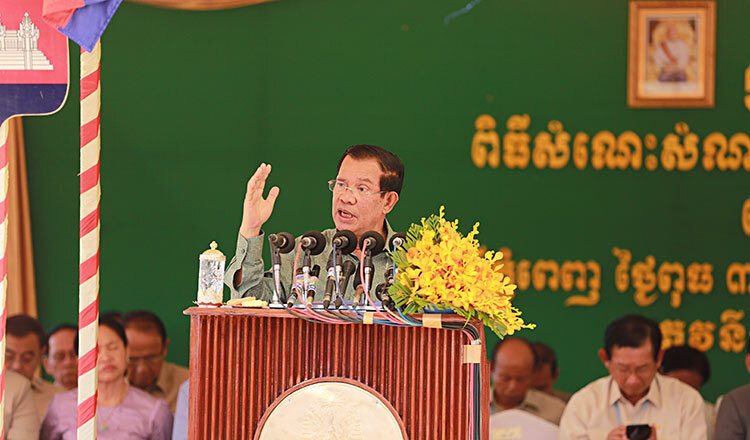 During the Pol Pot’s regime, even if there was never an agreement between Democratic Kampuchea and Vietnam on the border because the Khmer Rouge decided to stop the negotiations, even if this regime used the failure to reach an agreement as a pretext to deny any legitimacy to the existing border, in a document from the Ieng Sary’s Ministry of Foreign Affairs, it is written about the “Brévié Line”: “this border has an administrative character, but Democratic Kampuchea considers it as a State border between Kampuchea and Vietnam left by history” (Ben Kiernan, The Pol Pot Regime, 1996, p.112). ). 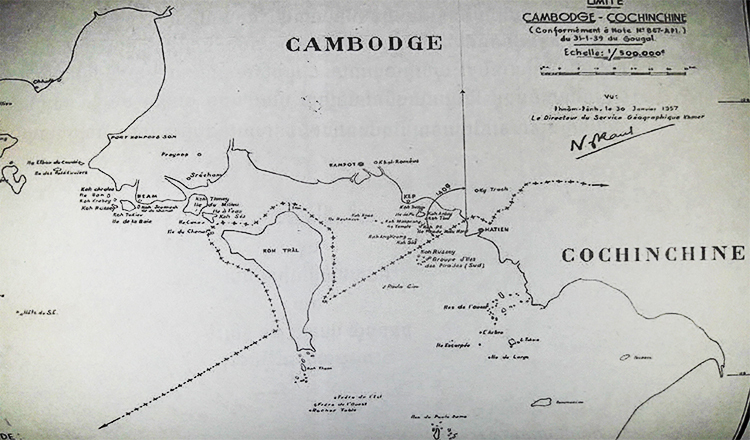 And a map of the maritime border was officially published by the Ministry of Foreign Affairs of Democratic Kampuchea in September 1978, with the “Brévié Line”. What was signed in 1982 between the People’s Republic of Kampuchea and Vietnam was in fact a treaty recognising that, within the limits of an area called “historical waters”, there was no agreement between the two countries. 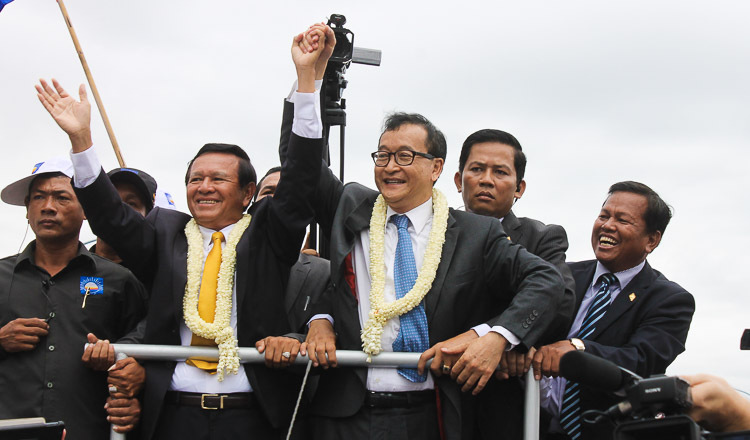 It is crystal clear that Sam Rainsy lies when he makes Hun Sen responsible for the lost of the Cambodian sovereignty on the island of Koh Trâl (Phu Quoc, in Vietnamese). It was a French decision confirmed later, after the independence of Cambodia. 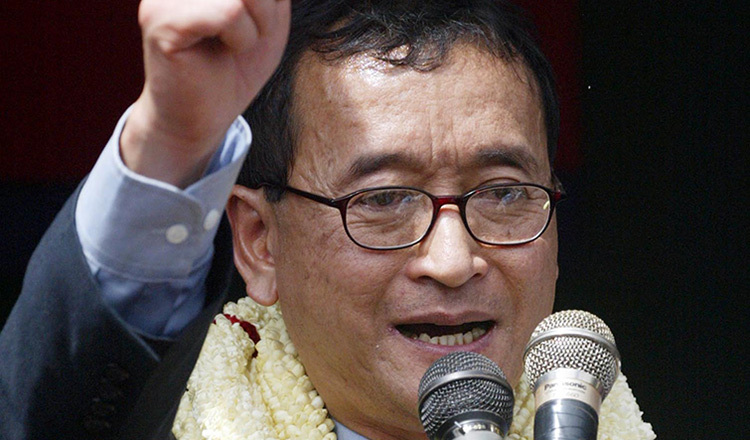 Sam Rainsy, more ultra-nationalist than Pol Pot and Ieng Sary ! What a democratic record ! 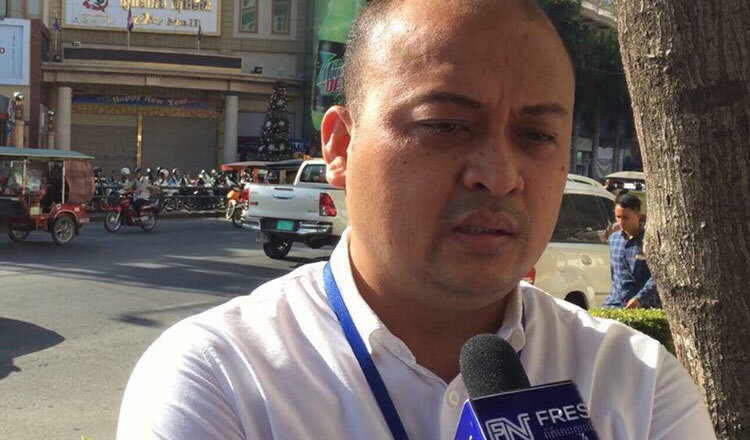 Raoul Marc Jennar PhD, is a Doctor in Khmer studies.